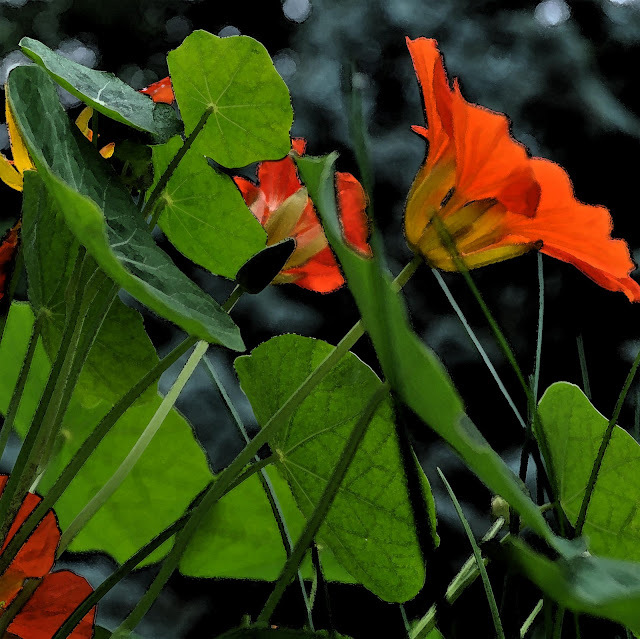 Below are three photographs taken of nasturtiums this past summer. I love their vibrant colours and their round, perky leaves. With Photoshop Elements these photos have been manipulated to look like paintings. We are the desert we must cross to enter the Promised Land. Looks very sharp, Bonnie. I sometimes get lost in Photoshop too. Love the effect on these photos and the colors are amazing!! We went to the open house at the art consultant's show room last night and saw a photograph that had been manipulated a bit and then printed on canvas. 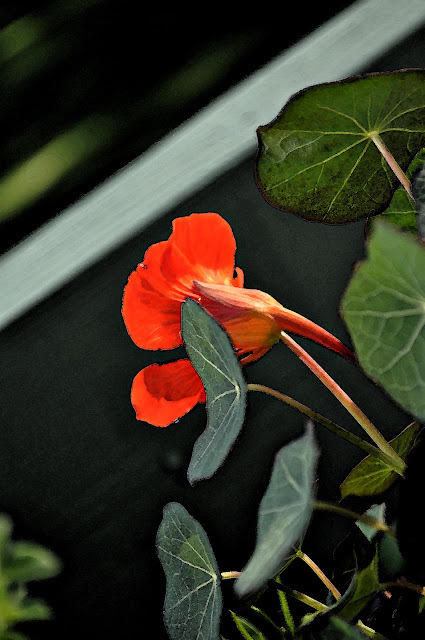 It was of a columbine flower and was really lovely. It's so amazing what can be done now. I really must experiment with Photoshop Bonnie - these are lovely. 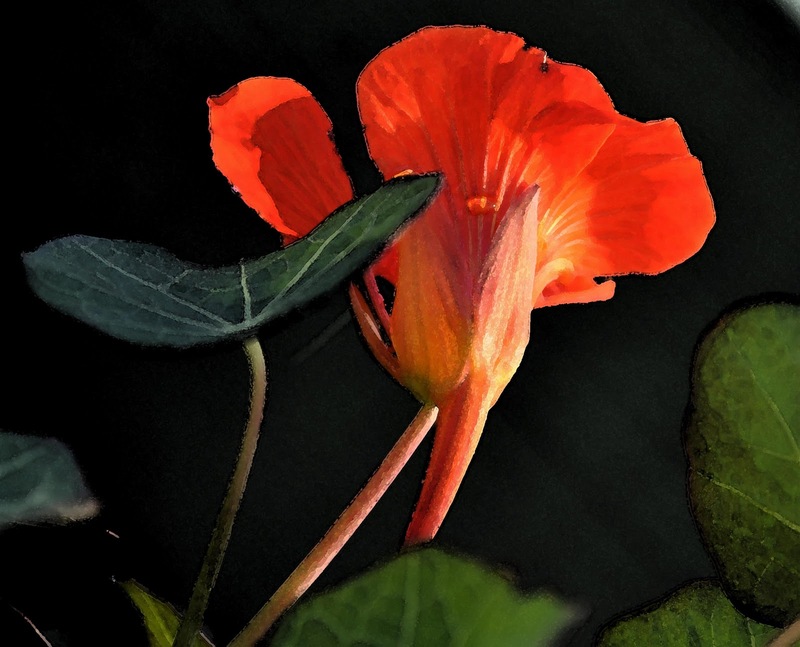 Nasturtiums are such dear plants. I love how the leaves hold drops of water. I love the colors of the blossoms, yellow to orange. I love how they taste, peppery and delicious. Your images are lovely. And I do appreciate that thought that we are the desert we cross to get to the Promised Land! Very nice! With this application, it makes all of us artists! I particularly like the last one, although they ALL are great! 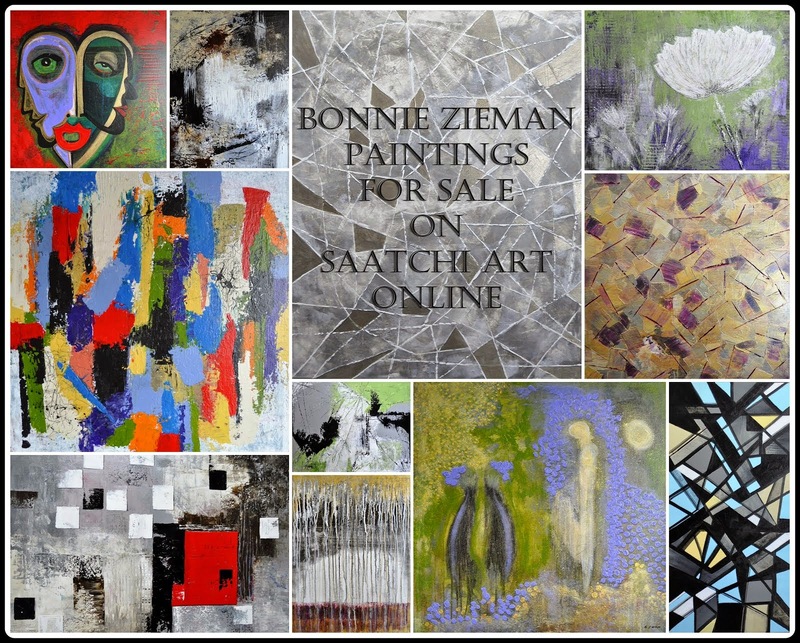 Lovely images, Bonnie! I also like the quote, but wonder how many years are required on the desert to reach the Promised Land.